2014 was not a good year for Marvel. That was the year that Avengers: Age of Ultron came out and proved to be a rather unruly mess, and that was followed by a strange little movie called Ant-Man. Ant-Man is to date the third lowest grossing Marvel film after The Incredible Hulk and the first Captain America and to those in the know the final film kind of lived in the shadow of the fact that Edgar Wright was once going to direct it. I wasn’t a fan of that movie either. Of course it was a Marvel Cinematic Universe movie so there was enough quality control going on that it certainly wasn’t “bad,” but there were a lot of elements that didn’t really work and it just seemed like kind of a lame exercise in the grand scheme of things. I was especially put off by one aspect of Ant-Man’s powers, namely the way he could punch people while miniature and have them react as if they’d just been given an uppercut by a heavyweight fighter. That doesn’t make sense. Even if they did have incredible strength while miniature the fact that it’s channeled into a small space like that would make Ant-Man piece into the bad guys like a bullet not hit them with blunt force trauma. It breaks the laws of physics dammit! Still, in 2018 Marvel is on a roll and I suspected that they had enough momentum to improve on their last effort with the sequel Ant-Man and The Wasp. The film is set two years after the events of Captain America: Civil War but before the events of Avengers: Infinity War. After having been arrested for breaking the Sokovia Accords in Captain America: Civil War Scott Lang (Paul Rudd) has been on house arrest this whole time. Hank Pym (Michael Douglas) and his daughter Hope (Evangeline Lilly) have apparently also been on the run this whole time because it was their technology that was used in Scott’s breach. At the film’s start his sentence is only days away from being over but for some reason he suddenly finds himself having a strange dream about Hank and Hope and in a semi-delirious state calls them using a burner phone that he had hidden and tells them about it. Something like a day later he’s suddenly tranquilized and moved to a secret lab that Hank and Hope have been building where they hope to enter sub-atomic space to rescue Hank’s lost wife. But not long after they all find themselves in a run-in with a mobster named Sonny Burch (Walton Goggins) and then they’re accosted by a strange masked combatant that seems to phase in and out of reality and it becomes clear that they’re going to be in the fight of their life. The title of Ant-Man and The Wasp gives equal billing to Hope but don’t be fooled, this is still very much a story told from the perspective of Ant-Man, which is perhaps to be expected given that he’s more of an audience surrogate than Hope. Hope is given a costume this time around and gets to participate in the action sequences as The Wasp but narratively she more or less shares her storyline with her father, who could just as easily be considered a co-star with the other two. That aside the movie generally has a clearer picture of its characters than the original film did and the fact that it has its origin story stuff out of the way gives it a lot more time to act as something of a romp. Most of the comic relief cast from the previous movie like Michael Peña and T.I. are back and Randal Park has been added as a delightfully nerdy FBI Agent who’s meant to be overseeing Scott’s house arrest and just steals every scene he’s in. People who are frustrated by the fact that so many superhero movies tend to end with fights against super-villains that are about to set loose some world ending calamity will likely enjoy the fact that this movie involves a fight against some rather low level thugs led by Walton Goggins (who’s very much in “Vice Principals” mode here) and even the more traditional superhero foil called Ghost proves to be less eeeevilll than most Marvel villains. 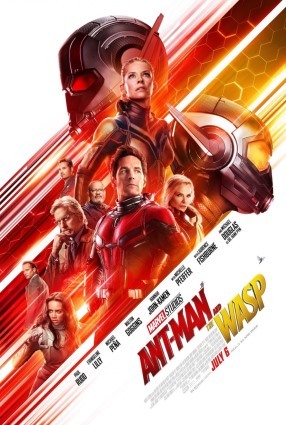 In general Ant-Man and The Wasp is a clear improvement over its predecessor, it seems to have a bigger budget, it more clearly knows what it wants to be, and its cast has gelled considerably. That said I still think this is one of Marvel’s weaker franchises, some people might like the film’s lighter tone, but I think Marvel movies are already plenty light to begin with and the Ant-Man movies bring that lightness to the point of feeling downright disposable. This one in particular seems to really think that its tone can excuse away some pretty obvious plot-holes like the FBI’s incredible inability to keep tabs on Scotts home. This all feels particularly inconsequential given the ending of Avengers: Infinity War, which only really comes up here during Marvel’s patented post-credits sequence, but the film otherwise does not feel terribly important to the greater MCU storyline. The decision to release this a mere two months after Infinity War seems particularly curious given that there are no Marvel movies lined up at all for the fall and I’m guessing that there would have been a much bigger shortage of escapist entertainment like this during that season. Having said all that, I don’t want to leave anyone with the impression that this isn’t worth seeing because it probably is at least if you’re an MCU fan. These movies are basically never bad and this one isn’t either. It’s a neat action movie and most audience members will get what they came for. Shortly after I went to a Saturday afternoon screening of Avengers: Infinity War I went onto Twitter and tweeted the following: “#AvengersInfinityWar All I’m going to say is, if you’re invested in the MCU you’re going to want to see this and do so before the spoilers get to you” and I’d say that’s still more or less what I have to say about the movie for anyone who hasn’t seen it yet. Truth be told I’ve found writing reviews for MCU (Marvel Cinematic Universe) as if anyone is looking for advice as to whether or not they should see them is pretty delusional. That isn’t to say that these movies are “critic-proof” as I do think truly negative reviews of them could take their toll if the movies suddenly took a real dip in quality, but while they continue to live up to expectations the people who are interested are simply going to keep going and this notion that anyone is waiting for little old me to weigh in before they put down their money would be even more egotistical than it would be for most of my reviews. So, after this paragraph (and the perfunctory summery after it) this review is going to just dive in and talk about everything that happens in this movie and what it means to this whole enterprise and things will probably be a little more informal than usual. The film picks up right where Thor: Ragnarok left off with the Asgardian refugees spaceship running into Thanos’ giant space base. The Asgardian ship is quickly boarded and Thanos (Josh Brolin), who appears to have gotten a hold of the Power Stone from Guardians of the Galaxy, makes quick work of Thor (Chris Hemsworth), Loki (Tom Hiddleson), and even The Hulk (Mark Ruffalo). Thanos then takes the Tesseract, which had been at the center of The Avengers and was re-stolen by Loki in Thor: Ragnarok, and proceeds to kill Loki on the spot and take the space stone from the Tesseract. Heimdall (Idris Elba) is also killed but as he’s dying he manages to use the bifrost to teleport Bruce Banner back to Earth. The Asgardian ship is destroyed but Thor, being a god, survives in the vacuum of space and is rescued by The Guardians of the Galaxy, who are chasing down the distress signal that the Asgardian ship was sending out. From there He, Groot (Vin Diesal), and Rocket (Bradley Cooper) decide to seek out a weapons forge while Quill (Chris Pratt), Gamora (Zoe Saldana), Drax (Dave Bautista), and Mantis (Pom Klementieff) go to The Collector (Benicio del Toro) to try to find the Reality Stone from Thor: The Dark World. Meanwhile, Banner finds himself having been teleported back to earth, where the Mind Stone is in the hands of Vision (Paul Bettany) and Scarlet Witch (Elizabeth Olsen) after the events of Avengers: Age of Ultron and the Time Stone is in the hands of Dr. Strange (Benedict Cumberbatch) after the events of his film. Banner immediately seeks out Iron Man (Robert Downey Jr.) and shortly after warning him and Dr. Strange about Thanos finds New York under attack by Thanos’ minions. That above summery is a good example of why this is a hard write a normal review of this movie. It’s a paragraph that will make very little sense to anyone who hasn’t already seen eighteen movies that preceded this one, and if anyone has already seen eighteen Marvel movies why the hell would they skip this one? There are other Marvel movies that you can go to and more or less enjoy without worrying about how they fit into the overall story, but this certainly isn’t one of them. This also isn’t a Marvel movie that’s trying to be some kind of Marvel infused take on some other genre. It isn’t trying to be a blockbuster take on the high school movie like Spider-Man: Homecoming, it isn’t trying to be a comedic space opera that so happens to fit into the universe like Guardians of the Galaxy Vol. 2 was, and it isn’t trying to be a politically charged science fiction film like Black Panther. This is, at its heart, purely and simply a Marvel movie. Of course it does need to bring in disparate elements from all those other movies and at times while watching the movie I was almost reminded of the early episodes of Marvel’s Netflix crossover series “The Defenders,” which gave the audience the impression that they were flipping between four different TV series. Certain sacrifices are of course going to be made. For instance The Guardians of the Galaxy are generally not accompanied by the 70s music they’re associated with and the trippy visuals associated with Dr. 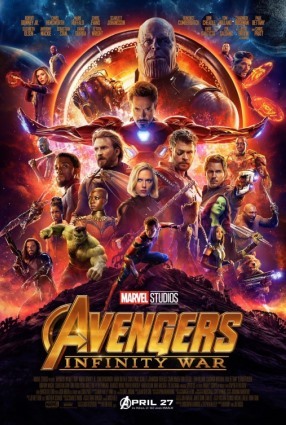 Strange are a lot more restrained here but for the most part the Russo Brothers do a pretty good job of bringing all these characters together efficiently while still providing all the action and witty banter that people expect from these movies. All in all the movie plays out exactly as most audiences are expecting it to play out in grand entertaining fashion… and then everybody dies. Now this is an ending that’s going to play out very differently to different audiences. Personally I kind of saw it coming. I had vague memories of hearing that something like that happening in the comic books and leading up to my screening I saw a lot of headlines in the early reviews talking about the “shocking ending” in ways that probably seemed vague to the people writing them but which were pretty easy for someone who pays to much attention to this stuff to put two and two together. It’s also going to be less shocking to the over-informed simply because it’s a lot easier to be cynical about how permanent any of these deaths are likely to be if you know too much about who has what contracts. We already know that there’s going to be a third Guardians of the Galaxy so there’s no way those characters are really dead and that Sony is trying to build a Spider-Man cinematic universe which ensures that that character is coming back and that there’s no way in hell that Disney is going to let the Black Panther money train movie end here. However, it is maybe worth taking a couple steps back and considering how that played to the vast majority of the millions of people who are going to see this thing. While I’m sure a lot of them will also have a hunch that some of these characters are coming back they probably didn’t see this cliffhanger coming and Marvel has done a pretty good job of downplaying the fact that another Avengers movie is coming next year with the general public. In particular I wonder how the children in the audience would react to seeing the bad guy win and kill a bunch of their heroes. Is that going to be traumatic to them? I certainly hope so. Anyway, the other thing about the movie I want to talk about has less to do with the ending itself so much as what led up to it. Thanos was really only able to enact his insane plan because a lot of the heroes make a lot of selfish decisions. Thanos only learns the location of the Soul Stone because Quill fails to follow Gamora’s instructions to shoot her rather than let her be captured and interrogated by Thanos, Gamora makes the same mistake herself by giving Thanos the location rather than see her sister tortured, Dr. Strange ostensibly only gives up the time stone to save Iron Man, Quill screws up yet again by losing his cool when the other heroes are about to take the gauntlet, and of course the possibility of that unhappy ending easily could have been cut of right from the beginning if Scarlett Witch had just yanked the mind stone from Vision’s head and wrecked it. Absolutely none of these decisions can be justified on any logical level. The whole damn movie is like a precession of so-called heroes making wildly selfish choices where they put the lives of their friends and family above the lives of literally trillions of other people and in doing so. It’s like the anti-Casablanca, no one seems to realize that the lives of a couple little people does not amount to a hill of beans in a crazy universe where a madman wants to wipe out half of the universe’s population with the snap of the fingers… and yet thematically this series of events is not an accident. The emotional and arguably selfish actions of all these characters stands in stark contrast to Thanos’ philosophy, which takes the notion of “the ends justify the means” to a deranged extreme. Thanos is willing to kill trillions “for the greater good” and the heroes often can’t even kill one person “for the greater good,” presumably there’s a middle ground somewhere to be found and we’ll have to see if they address this in the as of yet untitled next Avengers movie. So I guess the last question is why this movie works so well despite theoretically having all the same problems that Avengers: Age of Ultron had. I called that movie an over-stuffed mess and on paper this movie is even more “stuffed” than that movie was, but it still manages to flow a lot better. It also manages to find a lot more time to develop its villain than that earlier movie did. In fact I was kind of shocked at how much effort they put into giving Thanos, a character I expected to have something of a Dr. Evil quality, some real motivations and personality. Above all I think what makes this work so much better than Avengers: Age of Ultron is just that it has a purpose. The surrounding solo Marvel films simply hadn’t been building towards Age of Ultron, it was a movie that largely just existed because they needed an Avengers movie in “phase two,” the movie those solo movies had been building towards pretty much since the beginning had been Infinity War and the fact that they actually managed to deliver on that promise and deliver on it this well is quite the achievement. Now granted, a lot of this movie’s overall legacy is going to depend on whether they stick the landing in the follow-up and that remains to be seen, but if the goal for now was to make us excited for the finale then mission accomplished. The summer of 2017 sure seemed like a great one for Hollywood. Marvel kept doing its thing, DC actually seemed to get things back on track a little, franchises that had delivered before kept delivering. Granted, there was some crap like Transformers 5 and The Mummy out there, but no one really expected much from those and the movies people actually had high hopes for really did deliver. In fact, by the time Dunkirk came out Hollywood had managed to go four straight weeks putting out really high quality big budget films like Baby Driver, Spider-Man: Homecoming, and War for the Planet of the Apes. Fun as it all was, it sure seemed to come to an abrupt and early end. In fact, August has been downright dismal. We’ve mostly been treated to disappointing bombs like The Dark Tower and unambitious nonsense like Annabelle: Creation. Clearly someone in Hollywood got their papers mixed up as they clearly should have spread out their solid July movies a bit more evenly across the summer. It’s in this vacuum of options that, late in August, I decided to go back and give a shot to a film that had been out for a couple of weeks already called Atomic Blonde which hadn’t seemed overly interesting in the film’s advertising but which had its clear defenders who had mentioned a couple of cool action scenes that I felt like I needed to give a look. The film is set in 1989 right around the fall of the Berlin Wall. 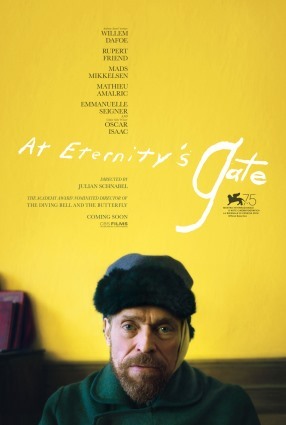 As the film opens a British agent named James Gasciogne (Sam Hargrave) is killed by a KGB agent named Yuri Bakhtin (Jóhannes Jóhannesson) who then steals a microfilm he was carrying which contained a list of all the active field agents in the USSR. The film then cuts to ten days later, after the main events of the film, to a framing story where our protagonist Lorraine Broughton (Charlize Theron) is being debriefed on her mission to retrieve this list by an MI6 leader named Eric Gray (Toby Jones) and a CIA agent named Emmett Kurzfield (John Goodman). From here she tells a story about her interactions with Britain’s head agent in East Berlin named David Percival (James McAvoy), a French agent named Delphine Lasalle (Sofia Boutella), and a Stasi defector known only as Spyglass (Eddie Marsan). 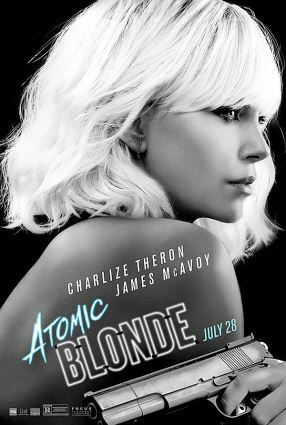 The first thing that strikes me about Atomic Blonde is that it isn’t as action driven as its advertising, credit font, and silly title would have you believe. At its heart is a fairly gritty espionage story that takes the cold war pretty seriously and seems to be heavily inspired by the writing of authors like John le Carré. The film is also really confusing. It’s the kind of twisty spy story where people are constantly double and triple crossing each other and you’re never really sure who’s on what side and quickly lose track of what the McGuffin is and why you care about it. I’d be lying if I said I kept it all straight on one viewing, and I do think some of that confusion is on the movie. Director David Leitch (one of the duo of directors who made the first John Wick film) seems a bit out of his element here and doesn’t really tell this complex story with the same skill and clarity of someone like Brian De Palma making the first Mission: Impossible movie. What’s more, I think there are elements in this script that genuinely don’t make a lot of sense. For example, as far as I can tell this list everyone is chasing around is an MI:6 list that had fallen into KGB hands and needed to be retrieved lest the KGB use it to murder all of Britain’s undercover assets. So why the hell does Broughton end up spending a great deal of effort trying to move an asset who’s memorized this list out of East Berlin? Would it not be in her interest if this guy died? Wouldn’t that be a much more effective way of ensuring the Russians never get the list that’s confined to this guy’s memory? Whether or not it makes sense for Broughton to be smuggling this guy out of East Germany (a country that will cease to exist a week later, making this mission seem… premature) there’s no denying that it provides us with a great action scene. The film is clearly at its best when it drops any pretense of being a serious cold war thriller and just lets Charlize Theron kick some asses. I’m not usually one to prefer mindless violence over storytelling ambition but its plainly obvious that David Leitch is more in his element when our heroine starts fighting fools than when she’s tracking down sources and determining the loyalties of the people she encounters and I don’t think he has quite the touch to make this the stylish 80s movie he seems to want it to be either. At the end of the day this is a movie that’s undone by the fact that its style and genre ambitions are at odds with its screenplay. It’s a movie that doesn’t know what it wants to be and that’s something that escapist action films desperately need to pin down. That said there are things to enjoy here. That aforementioned fight scene is awesome and so is a car chase that follows shortly thereafter. For some that dessert will be worth the at best middling main course. Having original opinions can be lonely sometimes. That’s especially true now that we live in the era of the bandwagon and the pile-on when it comes to the popular opinion on movies. Maybe I’m just being wrongly nostalgic but I feel like there was a time when opinions about movies used to spread a bit more organically whereas today it seems like consensuses are basically built by instantly posted reviews by critics two days before a movie comes out and are then either confirmed or slightly tweaked after a weekend of tweets. There might be a backlash sometime around a week after the film comes out and maybe a backlash to the backlash the next week but for the most part the die seems to be cast for a movie pretty fast and if you’re on the outside of the consensus you can easily find yourself in a pretty lonely place. One movie that got pretty cruelly shot down in this environment was Ridley Scott’s 2012 film Prometheus, a prequel to the 1979 classic Alien which sought to expand the series beyond its horror roots and use it as a platform to examine scientific and philosophical ideas. It also had a couple of plot holes and script problems, and as such it was quickly torn apart by the consensus. Personally, I rather liked it. 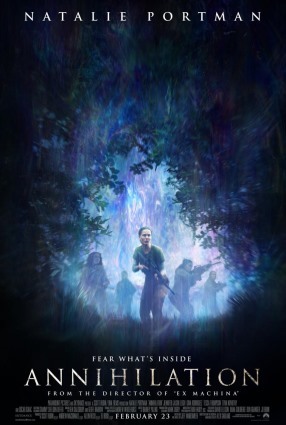 I could recognize its problems but felt like they were more than outweighed by its visual grandeur and ambitious storytelling and while the film does have other defenders they’ve been pretty well drowned out too by the sometimes kind of nasty wave of negativity that hit the film. Now four years later Ridley Scott has come out with a follow-up called Alien: Covenant and it may well rekindle all the arguments that raged around the previous prequel. Despite what the title may suggest, this is very much a sequel to Prometheus and picks up about 15 years after that movie’s conclusion. We are once again following a rather ill-fated space voyage, this time of a colonization ship called The Covenant which is headed for an uninhabited planet which could serve as a base for a new society. At the film’s start everyone on board except for the android Walter (Michael Fassbender, playing a different robot from the one he played in Prometheus) is in stasis when a sudden accident hits the ship killing a handful of the sleeping colonists including the captain. The rest of the crew is woken up and needs to immediately stabilize the ship. With that done they suddenly realize that they are actually close to another planet that may well be an inhabitable alternative to the planet they were initially headed to. Deciding that they need to explore this world before they think about waking up the rest of the colonists the new acting captain Christopher Oram (Billy Crudup) decides to lead a landing party despite the objections of his second in command Dany Branson (Katherine Waterson). When they land they suddenly realize that this planet has had other visitors previously and strange things happen when they run into a mysterious black substance on the ground. Prometheus was in many ways a pretty bold movie. It was Ridley Scott rather defiantly making the statement that Alien was a series that wasn’t defined by Xenomorphs so much as it was defined by an aesthetic, at least when Ridley Scott was making it. Scott proceeded to use that world and aesthetic to explore what humanity is willing to do in order to find the meaning of life. While doing that, it also proved to be kind of clumsy when it sought to also be something of a monster movie. Critics certainly seized on the movie’s questionable moments and used them to dismiss it, which is a reaction that was on one hand understandable and yet on the other hand a bit dismissive. In many ways it felt like the film was being punished for its pretension and for the raised expectations that it had elicited with its promising trailer and highbrow title. For the sequel Ridley Scott and 20th Century Fox seem to have realized that and done everything they could to signal that this is in fact a very much a monster movie. It’s put the word “Alien” in the title and it has a xenomorph front and center in in pretty much every advertisement for the movie. However, despite what the title would have you believe this is still very much a sequel to Prometheus in terms of storyline and also tries to retains many of its sensibilities while also functioning as a monster movie and the results can be rather schizophrenic in terms of tone. Prometheus ended with what appeared to be the creation of the first xenomorph through the combination of an Engineer and a squid-like monster that was implanted into the Noomi Rapace character and removed using a medical station. This is pretty much ignored if not re-coned out of existence by Alien: Covenant and we are instead given a new interpretation of how the xenomorph came to be. This is the most Prometheus-like element of the movie. I don’t want to give too much about this away but let’s just say that it involves a mad scientist, interesting imagery and Percy Shelly quotes. Prometheus was also plenty pretentious but it seemed a little more earnest about it, here it almost kind of just feels like the new writing staff is a lot less interested and are just doing their best to throw a few philosophical ideas because that’s considered to be part of the franchise now. That isn’t to say that a couple of these ideas aren’t without interest, but they seem weaker and they sometimes clash with some of the more base genre elements that are here as well. These genre elements are… alright. There’s certainly some nicely gooey looking gore here and a few interesting set-pieces, but a lot of them seem like they should be a lot more exciting in theory than they actually are. The movie certainly isn’t as suspenseful as Alien, not by a long shot, and it also isn’t anywhere near as thrilling and action packed as Aliens. In fact the Alien movie is most reminds me of might actually be Alien 3. Like that movie this tries to go back to the “one or two aliens versus multiple humans” but less effectively than the original, and like that movie it does have a few decent kill scenes, and like that movie it has a slightly undercooked but potentially interesting element of character study. Needless to say, that isn’t the Alien movie you want to be compared to but to be fair it is better than being compared to Alien: Resurrection or one of the Alien Vs. Predator movies. Ridley Scott does remain a solid craftsman and the movie does share a lot of the solid design work and cinematography that made Prometheus work as well as it did even if they don’t seem as fresh and interesting this time around, but it also carries over that movie’s tendency to have its characters do remarkably stupid things to get themselves killed, and frankly I think this movie is way worse in that regard. In many ways it’s a movie that just carries over a lot of its predecessor’s flaws while also minimizing a lot of its strengths to almost be the worst of both worlds and it’s only through Ridley Scott’s skill and hutzpah that it isn’t a much bigger disaster than it is.